Nintendo has a long and proud history, and it also has a tendency to release special and limited edition designs for its consoles and handhelds. 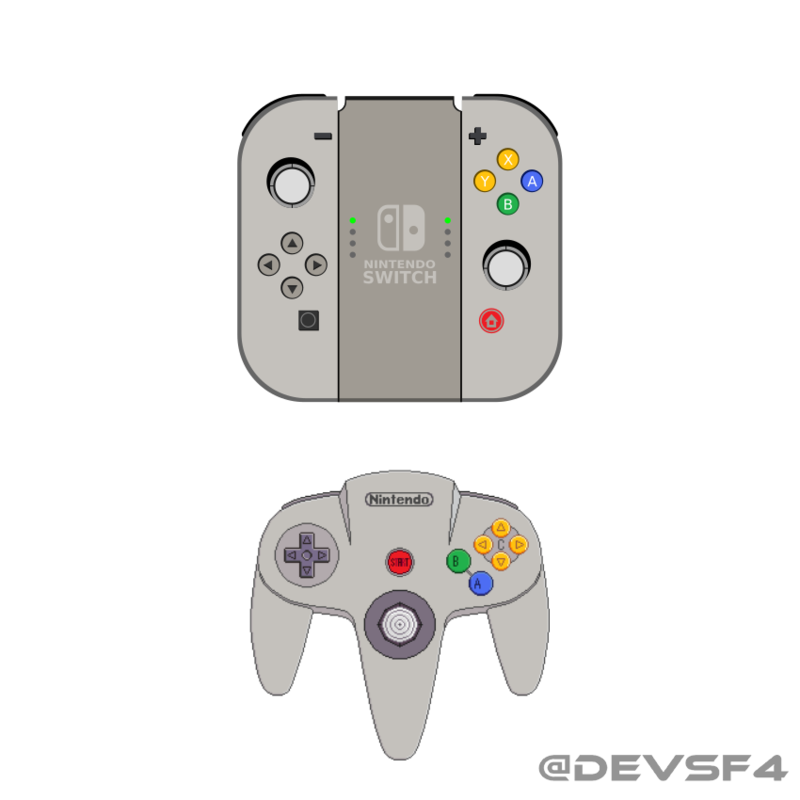 One speedy designer on Twitter called @DevSF4 has already mocked up what the limited edition controllers for Nintendo Switch could look like. We contacted Dev who kindly provided some higher quality versions of his designs to pleasure your eyeballs. What do you think of these designs? Would you want to customise your Joy-Con controller like this? Let us know in the comments below. Ahh I want them all, especially the SNES and GameCube variants!!! That's brilliant! The SNES one looks slick. The GameCube one looks amazing! Although he should've made the second analog stick yellow instead of one of the buttons. The SNES and GameCube designs are amazing. I want them. I need that GC design!! Nintendo, get to it! Too bad they're not official. It would be nice. That FamiCom is a beauty. Oooh....I LOVE that SNES and Wii color ! I'm in no rush to grab an NX, but I might be more tempted to get one sooner if a special limited edition appears. Those gold/red and GC blue look cool! Come on Nintendo, you have to do this. I would DEFINITELY buy the Famicom and Gamecube ones. Possibly Super Nintendo and Nintendo 64 as well. I would love a Gamecube inspired one. A Virtual Boy edition would be especially ironic (VB seemed like a portable console on paper yet better fit for home use by ultimate design), but I like the look of it! And all of them, for that matter. Yes, in all the right ways. If Nintendo doesn't do something like this . . . Nintendo is a tool. It's basically money in the bank. My personal favorite was the N64 design. I'd totally get these! I want them all lol but I would definitely get the SNES one first then the N64. I am going to say this again THE SWITCH IS NOT THE SUCCESSOR OF THE 3DS AND WII U. NINTENDO HAVE "3 CONSOLES" IN THE MARKET. MORE DEVS STILL MAKING 3DS GAMES AND WII U GAMES. OOoooooo these are cool. Wish he did a (US) SNES color scheme one. 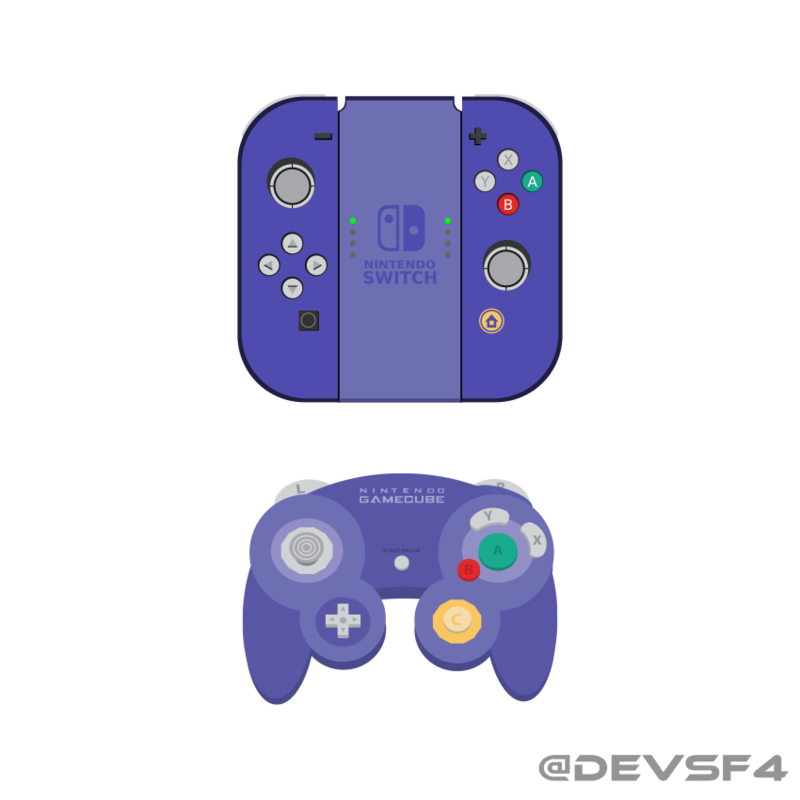 If Nintendo actually make a purple one, I'll likely get it. Nintendo have a great opportunity to allow customisation and they should seize it. But, clearly on the N64 version it's the "d-pad" buttons on the left that should be yellow, seeing as they pretty much are the c-buttons from the N64 controller. I'll let the artist off though; his designs are awesome. The FamiCom one is perfect. AH TO HECK, I'LL TAKE EM ALL!!! @Gold_Ranger Also extremely awesome. 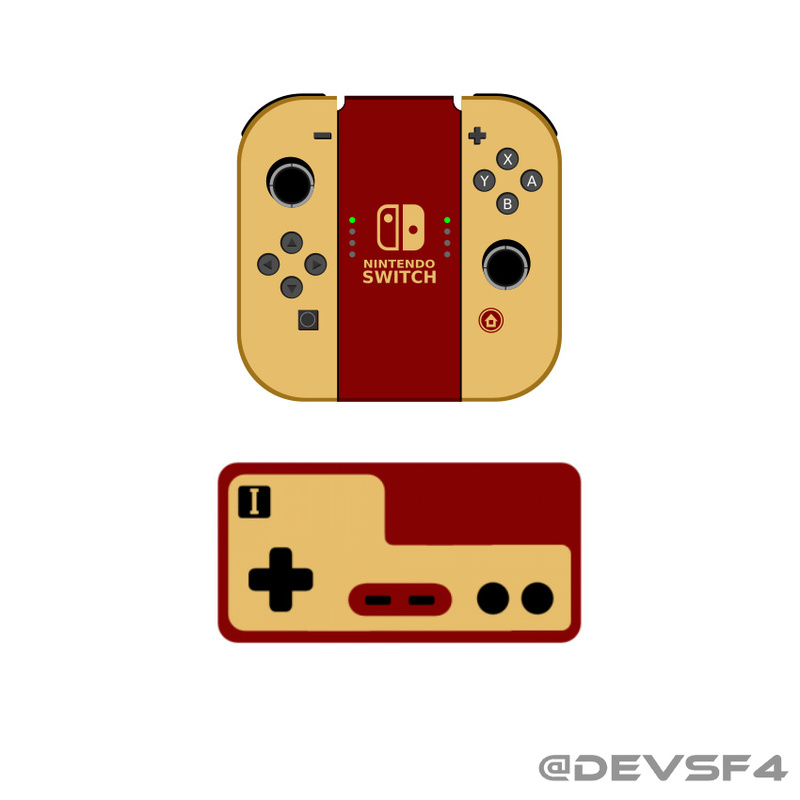 I'd love to see something like the custom Yokai, Splatoon, and Pokemon controllers as alternate Joy-Con versions in special cases, and a whole bunch of other ones too. Just like the faceplates on the New 3DS, I think optional customisation stuff like this is brilliant for both company and consumer. And, if they make really specific ones like the examples you provided they could simply bundle them with the respective games. I'd go for the Virtual Boy version myself, with the GameCube color scheme a close second. @audiobrainiac omg if they bought that out!!! Id be all over it! 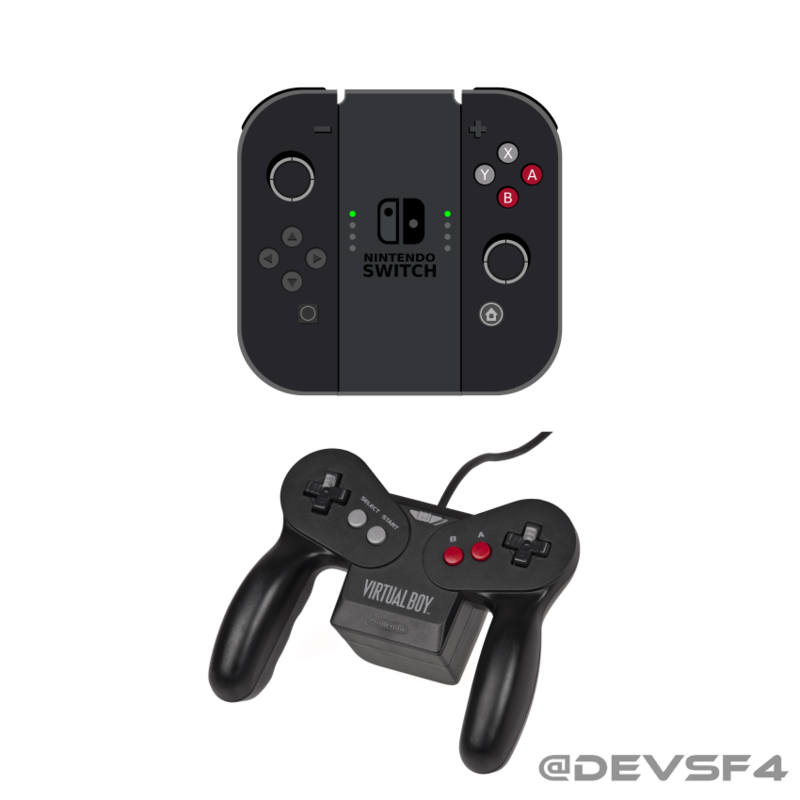 @FriedSquid I hear ya, but the cool thing is that you could just stick these custom Joy-Cons on the end of the main Switch unit too. Sorted. Now, Nintendo, if you do decide to do this, please don't do it with cheap and crappy stickers on the surface of the standard Joy-Cons (like you've done with most of the New 3DS XL custom skins). 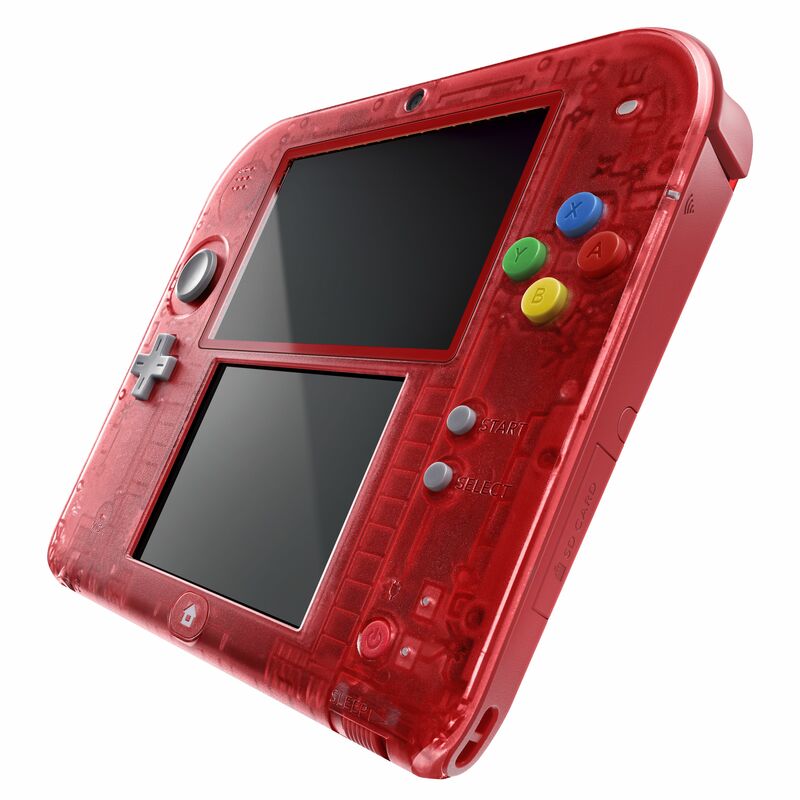 Actually go that extra mile and make the proper coloured plastic and appropriately coloured buttons and stuff (more like how you done it with most of the custom faceplates for the New 3DS). Do it right or just don't do it all as far as I'm concerned. If you do it right I'll only have nice things to say. I'd like to know the specs first. A bit of paint or vinyl won't make me buy it but hopefully hopefully the games will. My guess is that Ninty might not even sell the joy-con controllers separately. Each half needs battery, bluetooth etc, so they are going to be at or near the price of a pro controller. @bluedogrulez @H3X3NH4MM3R Me too! Unfortunately Nintendo never seem to release an NES edition of any console until practically the end of its lifespan, using nostalgia as a secret, last resort, retail weapon. STFU and take my wallet. I hope they do something like this! I would get the Gamecube one. Maybe they could even do character designs, like the Mario character Wii Remotes? I would so get a Luigi themed one!! Yeah. I agree. It's funny that the one based on Virtual Boy, to me at least, is one of the slicker ones! 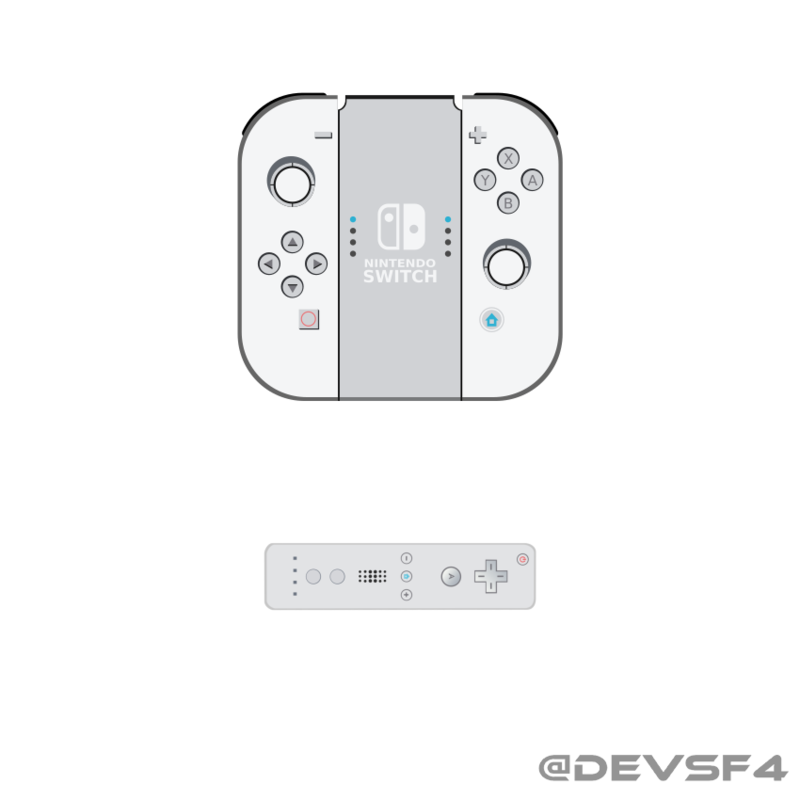 Nintendo has always done something custom so here is hoping they do this with either the pro or the joycon. Personally, I don't need these custom controllers since they offer no additional value. But what I don't get is: Why didn't Nintendo design the Y-X-A-B-Section in the colours they had on SNES? That would eliminate any confusion some people have regarding the button layout (compared to Xbox controllers). They already missed this chance with the Wii U and I can't believe they're making the same mistakes again. That Green-Blue-Red-Yellow pattern is instantly recognizable for anyone who played on a SNES as a child. You don't have to look for the button letters but only for the colours. The neuronal connections are already there in our brains. Why doesn't Nintendo capitalise on that? 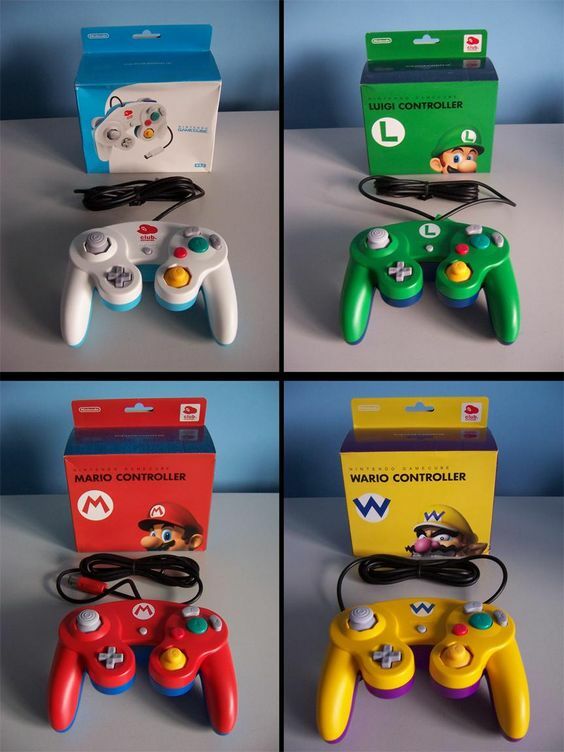 I want the gamecube one so bad. I like the Famicom, SNES, and Gamecube ones a lot! I don't know why, but my fav. is the Famicom one, I just like the colour scheme for some reason. Wow they all look brilliant! 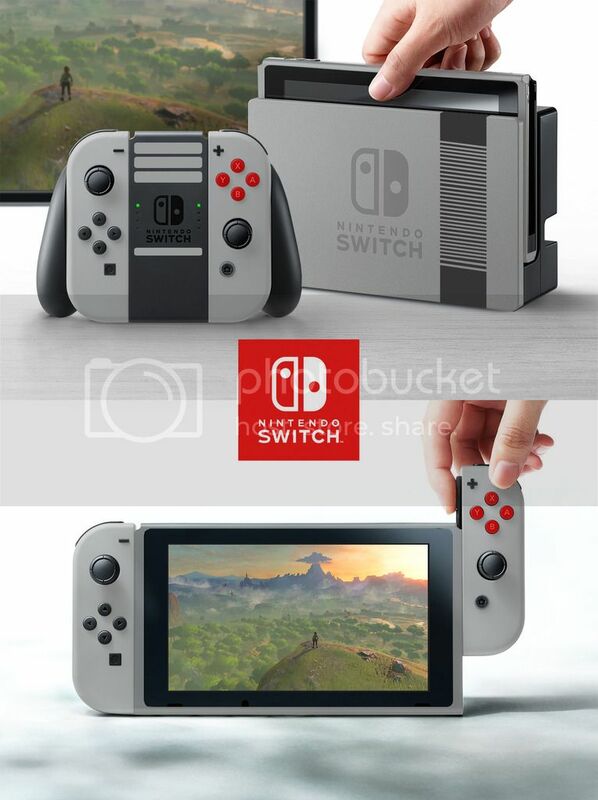 I never realised the possibilies that the switch is capable of having nany different colour schemes! But the question is... will Nintendo do it? I don't see it happening. These look great! I'll like the SNES & Virtual boy one. Was there an NES? Did I miss it? @crimsontadpoles I couldn't help but imagine Ryuko saying your comment. I would buy all of these!!!! I think the GC style one would be nicer with a black middle to reflect the disk hatch on the console itself. I like the famicom version from this one better. And the NES one. These seem to have a little more detail to them. @SoIDecidedTo yeah those ones where they've recoloured the promo images are really nice and probably more realistic to what we'll get if anything. I would really struggle to pick between the purple, blue and teal ones from that selection! I'll take SNES one, N64 and maybe the Virtual Boy one. This guy deserves a job at Nintendo! Okay, the last thing I need is for Nintendo to do this with the Switch. I am such a sucker for these things. I would pick up any of these except maybe the GameCube and N64. Dang...I thought that these were official! Within 24 hours someone has made the controller look better than Nintendo managed in months of design. One question I have not seen answered what are the eight little LED lights that are on the center base of the controller? @therealgamer sorry... but I disagree. This is the new Nintendo console their console sales have been declining so has the 3DS, so think about it they want to make it where they can develop once and have it for both handheld and home. And this is the most obvious way to do it. @Danrenfroe2016 I assume they're just like the little lights on Wii motes and the Pro controller. 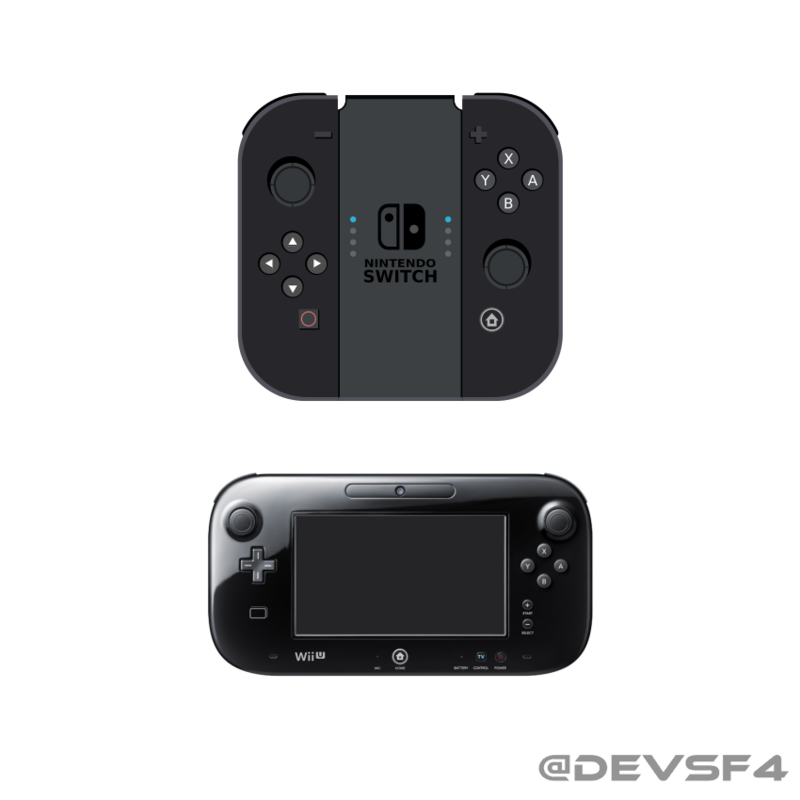 Ah yes, a Wii U Gamepad style Joy Con Grip, to remind how much of a better concept the Switch is in comparison to it! The PAL SNES is the best of the lot, though I also like the Wii and Wii U inspired designs. Why doesn't anyone want to color the c-buttons?? That's snes design should be first release. I'll take one of each, please!!! I hadn't thought of the non-standard picon variants like a Snap, GC Smash, or fishing attachment. The whole idea seems very cool and a perfect fit for the system design. As for the color swaps they are really well done and if these come about I'll be buying any and all of them. But that leads to the question, with retro variants why stick with the standard design? If you are going to play retro games, why not have similar button layouts? All of this could be very cool for the Nintendo Snap VC. Those look great! I never thought about colours but I'd love to pick out differently coloured parts and themes. Especially if they look like these!! 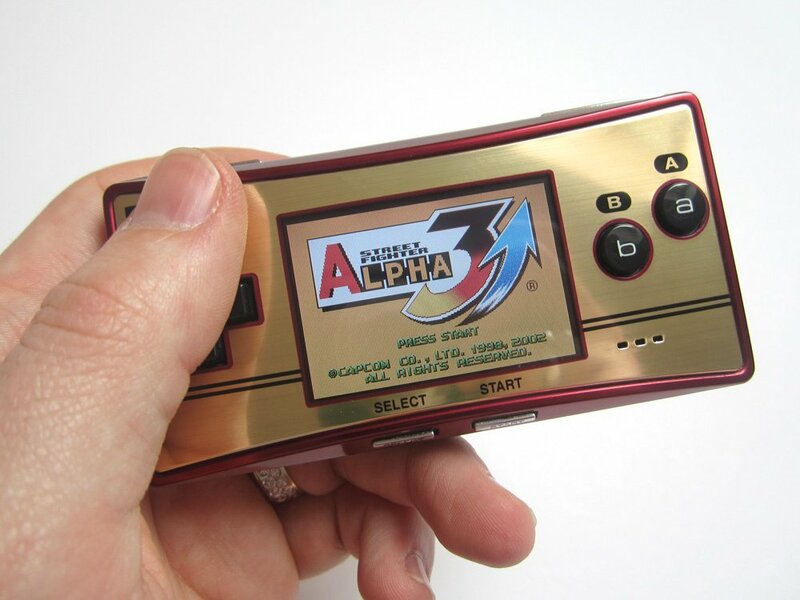 @audiobrainiac This one would be an instant buy for me as well as the SNES and N64 ones. Virtual Boy?! now that's digging deep. I'm down with a SNES and GCN version. @audiobrainiac Wow, especially if they go all out like this. I hope that they do release a seperate left side that has a dpad that we can buy separately. That famicom one, oooooooOOOOOOoooo Gill! The Famicom variant is so on-point. I wonder if the Switch will be available in white. After the Wii and Wii U black feels a bit generic to me. Would love a shiny white console! I love the Gamecube colors. For whatever reason I've always loved Gamecube themed designs. But WHERE is the D-Pad????? Someone want to forward these to Nintendo? Just to give them a hint? Honestly, the Virtua Boy and the Wii versions are what strike me the most. Dark n gritty meets, clean n fresh. Contrast. I love the Famicom, SNES, and GameCube variations. @OorWullie why two sets? and why sideways? and why are they one the center part than the actual controllers themselves? Weird huh? Nintendo is acknowledging the Virtual Boy as a thing. I'd eat up that SNES design. Nom. These controllers remind me of the 2DS but without a screen. Me too. I LOVE Pure White color for Nintendo machines. Switch must as colorful as 3DS XL to make it sold like hot pancakes. I'd be all over that GameCube controller if the buttons were the right colours. Snes or N64 for me!!! I wonder how many variants will be available at launch? The Wii U had the standard console without a game and the LE Wind Version, too. The Grey and black look alright but i'd much rather something with more uniqueness. I may hold off at first in the event they launch some special editions. Those Joy Cons look like they can/will be lost and destroyed fairly easy. I wonder if there is a standard edition released and then just the Joy Cons can be bought in various forms. That would be slick! @PorridgeParlour +1 on that Dpad idea! I think that's really a no brainer for Nintendo or some 3rd party to do that. Hell, 3rd parties could go nuts making all sort of different configurations to slot into the Switch. Personally, I want a touchpad to replace the right analog for FPS games. I'm a PC guy so this would be super nice to have. As a matter of fact the grip thingy that the controllers slot into should HAVE a touchpad in the middle like some Android TV devices have. That would be super cool for navigating menus and would open up the possibility for RTS type games to be more easily play on TV. Basically, with that addition the Switch could be all the things that the Steam TV promised to be and MUCH more. It did look too good to be true. OMG I WANT THAT FAMICOM ONE. I also love the Gamecube one, as I am still very fond of my gamecube. It wasn't just my first Nintendo system, but my first videogame console at the age of 17, and I still get a wave of nostaligic glee when I play it or even look at it perched by my TV. I kinda hope Ninty does make some rad limited edition controllers like this, but sells them seperately. 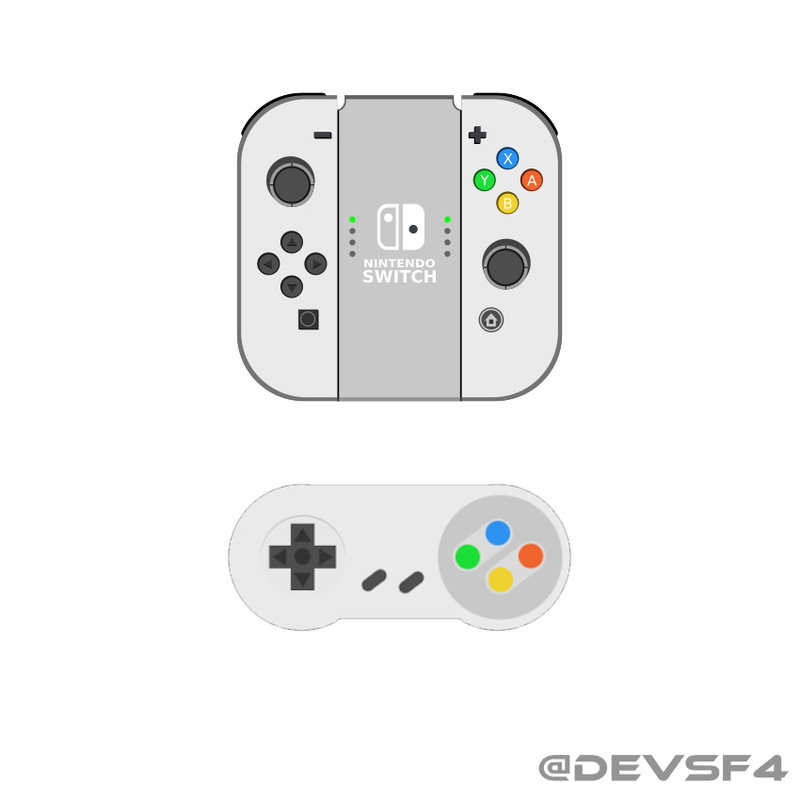 I only want to own one Switch, but having multiple snazzy joy-cons to switch out would be awesome. Accessorize it, accessorize the spamboozle out of it!! I fully expect Nintendo to sell various different versions of joy-cons with different functions or emphasis, but I dunno if we'll get sweet re-skins. I want a sness one but i want it with the purple and light blue buttons not the multi colored ones. The GC one is wrong. gamecube and wii-mote for me. Seriously, somebody should talk to Hori Digital, because they could make A KILLING with this!!! Those look a billion times more attractive than the red/blue neapolitan schemes we got. I'd kill for a red/gold version. @oceano I agree. It was a bit ahead of its time, but I enjoyed what games I managed to get for it before Nintendo declared the system DOA. @TheGoof You're talking about the Super Nintendo as opposed to the Super Famicom. If Nintendo would make the old console ones, I would buy all of them. I would love a PAL/NA NES as well...do Gameboy too while at it! Please take my money Nintendo, I beg you!! !